Private Consultations with Teresa are available in the areas listed above. Some of these can be combined in one session. 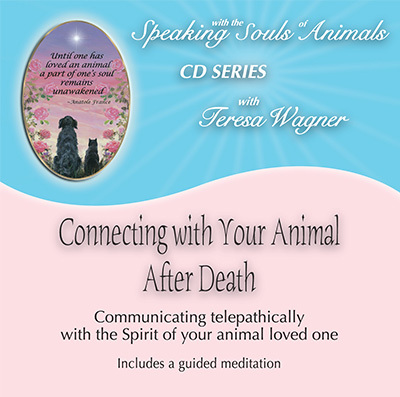 For instance, people will often schedule a combined grief couunseling and animal communication session, or a combined spirit guide session with and animal communication session. For those interested, the suggestion of appropriate flower essences are a complimentary part of any consultation. to reteach a thing its loveliness, to put a hand on the flower of its brow and retell it in words and in touch it is lovely until it flowers again from within, of self-blessing. Sometimes, we all need external support as we find our way in the world. We may need help understanding the thoughts, feelings and needs of our animals, or we may want mentoring to sharpen our own animal communication abilities. We may need support while we are grieving, or may want to connect with our loves ones who have crossed over. Or we may want to tap into the clarity and wisdom of spirit guides for guidance and encouragement at times when we feel stuck or unclear in our path. Seeking the support of a trusted counselor, healer or animal communicator can help us remember and connect with our own inner wisdom—accessing the power and truth that lives in our own souls. This remembering the wisdom of our own souls is what true healing is all about. "Healers" in any form or role, merely facilitate this remembering. It is the highest calling of any healing work--to help others find their way on their own path. Psychic means "of or relating to the soul" and is meant to be sacred work. 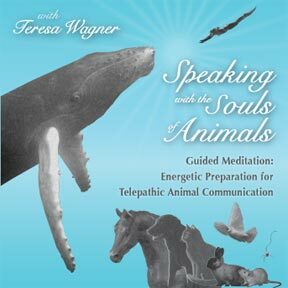 Speaking with the souls of animals, loved ones on the other side or spirt guides is most definitely sacred work to me. When our desire is to connect with the soul of another, the terms we use—psychic, telepath, channeler, medium, animal communicator, healer—don't really matter. What does matter is the process. It's important to me when I work with animals and people that I begin each session open and ready to hear and sense what the individuals have to say and to truly listen—and to not perceive the information and energy through filters about what is known about certain species, breeds, behavior patterns. When I go to counselors or healers for help for my own life issues, I surely don't want any preconceived notions about who I am, where I came from or be overly concerned about my background or what I look like to impact their work to help me. I want to be heard and accepted for who I am inside. When I work with human or animal clients, I don't care what their pedigrees are. I don't care about things like the socio economic state of the human, how many shows an animal has won, or what their lineage is. Of course, if the animal or the person find delight in these things, I celebrate with them. But such things do not make an animal or human more important, highly regarded or more valuable to me. In the world of healing, except for contextual understanding, these things are unimportant. Life history and background are only the backdrops for our souls' choices for lessons, learning and growth. Inside, we are all the same. What is important in my consultations is for me is to listen to what's in my clients' hearts, to listen to their stories, their joys, their pain, their trauma, their progress, their growth and their goals--without filters, judgments or imposed solutions that I think are "right" for them. I do make suggestions at times--suggestions, not dictates--and always with great respect for the other's choice to accept them or not. My consultations are interactive conversations, not one way readings, and are founded in love, compassion and respect for the animals and people who come to me. We are all here on the planet to serve one another in some way. When I am able to help another being, animal or human, better understand or heal some aspect of their life journey, then I am privileged and filled with gratitude for the opportunity to give what I’ve come here to give in a meaningful way. May we all be blessed with great lovingkindness, learning and healing as we cross one another's' paths.